for those coming from Naples (A 3): leave the motorway for the exit "Vietri sul Mare", for those coming from from Rome / Caserta (A 30): at the end of the motorway take the "Avellino-Salerno" link in direction "Salerno". Exit at "Salerno Centro", for those coming from Bari / Avellino: exit at "Salerno Centro" and for those arriving from Reggio di Calabria (A 30): take the exit "Salerno Centro". By train, get off at the train station closest to the port, Salerno center at about 2 km, and take the city bus line 5 or a taxi. The airport of Capodichino (Naples) is 50 km from the port of Salerno and is well connected by local buses that make more daily departures. From Salerno Pontecagnano airport, take line 8 of the public transport service, or reach the Pontecagnano station to get to Salerno center by train. 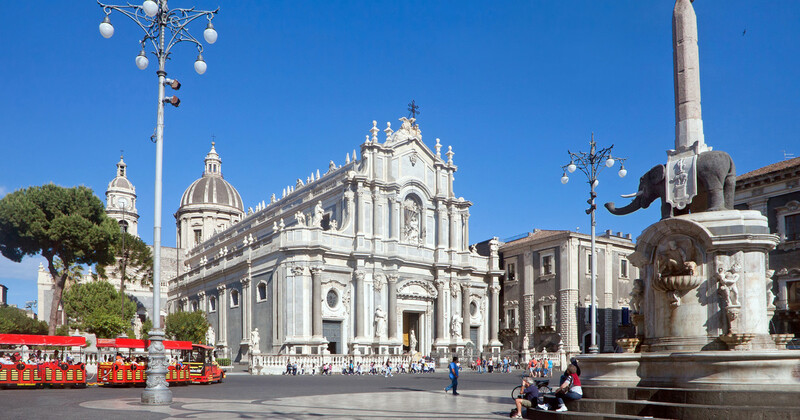 If you need to reach the port of Catania by taking the A45, take the Catania Centro exit, and continue on Via Vincenzo Giuffrida. Continue along Via Raffaello Sanzio and take Via Vittorio Veneto which becomes Via Della Libertà. Pass Piazza Martiri della Libertà and continue straight along the sea until you reach the port entrance with access from the Old Customs. For those arriving from the SS121, continue until you take via Palermo to continue for about 12.3 km. Merge onto via Giuseppe Missori and then drive along Viale della Regione. When you reach Via Acquilea, take via della Concordia and continue until you reach via Adamo. When you arrive in Piazza Stazione Acquicella, take Via Acquicella porto and continue until you reach the entrance to the port. For those arriving with the A19, follow the A19 E932 in the direction of SP701 in Catania. Take the Axis Services exit from E45. Continue on SP701. Continue on Via Priolo Sopralevata. After 2 km take via Acquicella Porto SS114 (signs for Catania Centro), then take Via Acquicella Porto until the entrance to the port. For those arriving from the south by the E45, follow the road to the Asse dei Servizi / Catania Centro / Porto exit. Continue on Sp 701 towards Catania. Follow Via Acquicella Porto and follow the road until the entrance to the port.